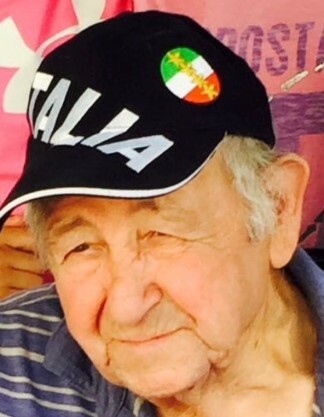 Vittorio D DiPietrantonio 78, of Manchester, NH and formerly from Malden passed away peacefully at home surrounded by his loving family on Saturday August 4. Vittorio was born in Pecara, Italy on August 7, 1939, the son of the late Donato and Angela (Desorbo) DiPietrantonio of Italy. Vittorio and his young wife emigrated to the United States with their young son, Donato in 1966. When Vittorio first came to this country, he worked in the construction industry as a mason. As time went by, he established is own masonry business and worked up until the last 5years. His sons could not stress enough about how hard their father worked and that he loved his work. There was not a day that went by that their father did not have his favorite chocolate frosted donut and a small coffee. He loved his wife and children but nothing could compare to the love he had for his grandchildren. When he saw his grandchildren; there was this absolute joy that came across his face. Vittorio was the beloved husband of Angela (Desorbo) DiPietrantonio and loving father of Donato and his finance Stefanie of Manchester, Antonio and his wife Lisa of Merrimac, Marco of Londonderry, Reymo and his wife Shannon of Auburn and Angela and her husband Eugene of Hampstead. He is also survived by 16 grandchildren and 2 great grandchildren. Visiting hours at the Murphy O’Hara Funeral Home 519 Broadway Everett on Tuesday August 7 from 4 to 7pm. Services from the Funeral Home on Wednesday at 12 noon followed by burial in Holy Cross Cemetery Malden.